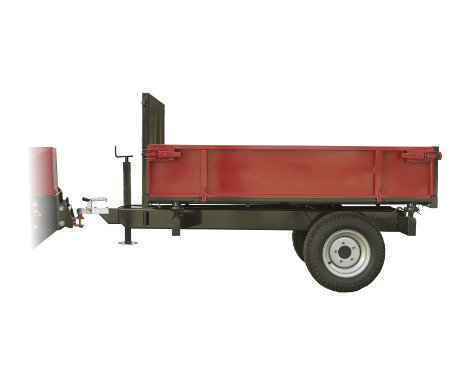 Powerful and versatile trailer with a 3-way tip. The direction of tipping is easily changed by moving the hinge pins placement. Equipped with foldable 35 cm high side walls that can be removed if necessary which opens a totally flat and even bed. The trailer has a very strong frame and a height adjustable trailer coupler. The loader needs to be equipped with a rear hydraulic outlet and trailer hitch.